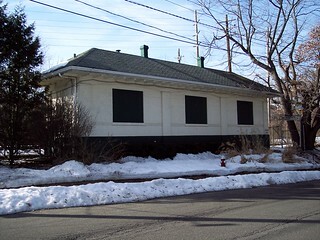 An old station building still stands at the Country Life Press station, but it appears to no longer be in use. 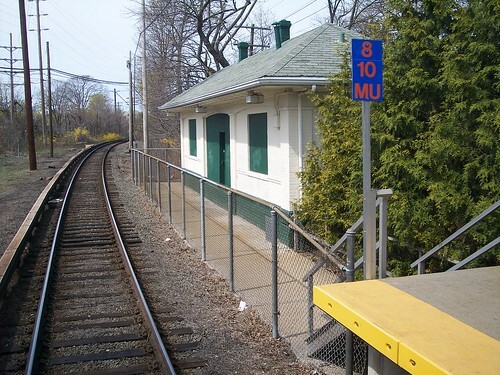 In the 1930s the station also served the West Hempstead Branch which at the time continued southwest to West Hempstead and north to Mineola. In the 1940s the station also served a shuttle to the east. 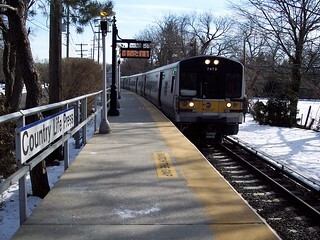 A train arrives from Hempstead.